After a nearly five-year program, we are happy to join in the excitement of welcoming four new Sisters to the mission of serving the elderly. 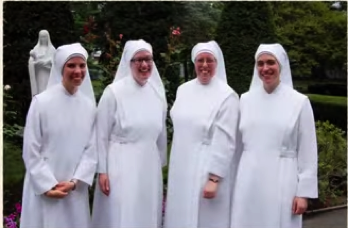 We are excited and blessed to be able to welcome all four Sisters to continue the works of Jeanne Jugan in the United States. In addition, three young women became novices to continue their path to profession. To see a slide show of the profession, click here. To read more about the new Sisters, click here.